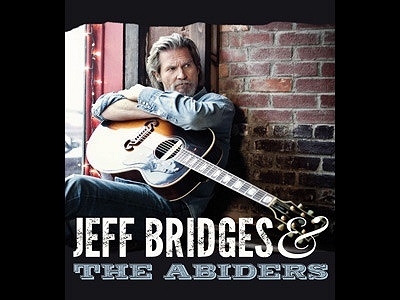 Subject: LongIsland.com - Your Name sent you Event details of "Jeff Bridges and The Abiders"
The Paramount in downtown Huntington, Long Island, NY presents Oscar and Golden Globe award winner Jeff Bridges and The Abiders live on August 29th at 8 pm. Aside from his booming acting career, Bridges has had success in music with his self-entitled album “Jeff Bridges.” His album features a roster of magnificent songwriters and musicians such as Grammy award winner T-Bone Burnett, who has helped produce albums for Lisa Maria Presley, Elvis Costello, Elton John & The Who. Tickets for Jeff Bridges will go on sale to the general public starting @ 10am on Wednesday, June 11th through Ticketmaster.com, charge-by-phone @ 800-745-3000 or The Paramount Box Office (open daily from 12 noon - 6 pm). Paramount Fan Club members may purchase tickets before the general public during the two-day, online-only, Ticketmaster pre-sale starting at 10am on Monday, June 9th through 10pm on Tuesday, June 10th with password "PULSE". To receive future pre-sale codes and event news for The Paramount, simply sign up on our website for our FREE e-newsletter today. Son of actors Dorothy and Lloyd Bridges, Jeff was drawn to acting due to success in movies at a young age, but he was focused on writing music and says, “This album is a natural extension of the love of music I’ve had all my life…I’ve been into music ever since I was a kid, my mother forced me to take piano lessons when I was around 8…and I bailed.” Although he didn’t continue with piano lessons, he rediscovered his love of music in high school when he picked up a Danelectro guitar; he then joined a band and practiced every week for the next fifteen years. “Bridging” the gap between acting and music came easily to Bridges, who says, “They’re both collaborative, you’re working with different artists, but there are also aspects in the writing and the practicing. You prepare, and then you let go.” The Paramount is ecstatic to have the multi-talented actor and musician-Jeff Bridges- share his soulful and heartfelt music with Long Island.